What is mindfulness? 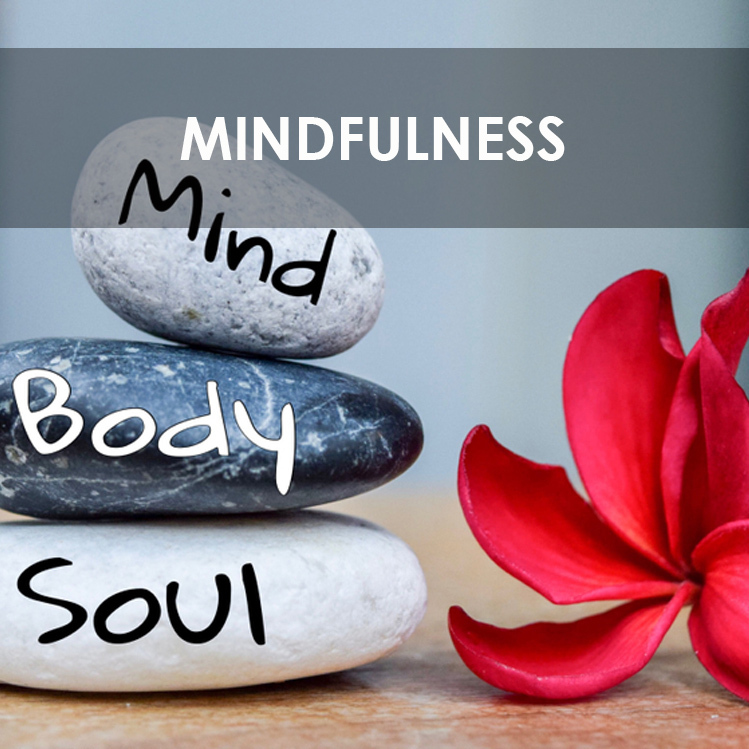 Mindfulness is the moment-to-moment awareness, acceptance, and non-judgment of thoughts, feelings, actions, and the environment around us that helps the brain to heal. What is COAL? COAL is a mnemonic developed by Dr. Daniel Siegel, UCLA psychiatrist and researcher who has studied mindfulness for decades. His book “The Mindful Brain” looks at four main components of mindfulness which make up C-O-A-L. First there is curiosity, then openness, acceptance, and then love – love of self or love of others. We’re going review each of them in turn. 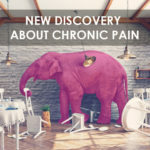 Curiosity and openness are typical characteristics of people with pain as they are curious and open to finding new solutions for their ongoing chronic pain state. Rarely do I find people who aren’t curious or open about their pain. The very nature of unrelenting, often agonizing, soul-destroying pain forces people to be curious and open to new approaches for managing and hopefully curing their pain altogether. Curiosity and openness are the prerequisites of the mindfulness practice. Acceptance is fundamental in mindfulness and often seen as the cornerstone to change one’s mind. Fully accepting pain just the way it is, and not wishing it away, is the foundation mindfulness. This sounds counterintuitive, but it’s not really, for acceptance is all about non-judgment. 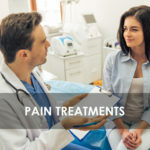 Pain is neither bad nor good, it’s a “sensory and emotional experience” as per the definition by the International Association for the Study of Pain. It’s very important that people differentiate the pain experience from the judgment attached to it. For example, saying “My pain is terrible today,” is a negative judgement. When they say “My pain is here right now” there is no judgment of the pain. This is the first step in the journey of ending the suffering associated with pain. Negative thoughts of pain in our head produce emotional responses in the body which travel around as chemicals keeping the brain’s interpretation of pain as a negative experience. This keeps the brain firing its nerves which reinforces the negative pain experience. To heal pain we need to stop the cycle. First, we must start by becoming aware of our own thoughts or feelings. You need to reflect inward to your mental activity. Monitor your thoughts. How do you feel about those thoughts? Become aware of the negative self-talk that will surface on a regular basis. Living with awareness and non-judgment in our mind frees us up to a healthier state of being. 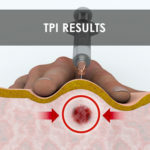 The research shows this non-judgement results in reduced pain, reduced suffering, reduced anxiety and depression, along with other health benefits. You can practice this yourself, and start neutralizing your thoughts about pain. For example, “My pain will never go away,” can be changed to, “My pain comes and goes all the time.” Most pains do come and go. They get worse with stress and they improve with distraction. Typically, you find your pain better in the day with the distraction of work or doing activities, than in the evening when your mind is not so busy. Once you understand the importance of changing your mind and actively changing thoughts away from negative judgements to neutral statements, then you can can introduce other techniques, such as humor, gratitude, positivity and autosuggestion as described below. But first, let’s review the powerhouse of mindfulness, which is love. Love. In the context of healing from pain, love is about compassion for self. You need to practice self-love or self-care. We all know a child needs love and attention to grow and thrive. There is no difference between adults or children in this regard, even more so if you’re suffering with pain. Living with pain is stressful. Life is stressful with it’s demands whether it be internal or external. Internal stressors exist as personality traits such as perfectionism, people pleasing, obsessive compulsions or simply being a good person in society. External stressors include relationships with partners, children, parents, bosses, colleagues; money, vehicles, house, pets and the world of IT with multiple social media accounts or just the news! Normal life is stressful these days and, unless you actively participate in self-care, stress will increase the pain because it activates the sympathetic nervous system with the flight-flight response. Those stress hormones are pumped around our body and our mind trapping us in a cycle of thoughts which keep the brain constantly rewired for more stressed-out experiences that make the cycle of stress continue. You should spend one hour per day or, a five-hour period on a weekend devoted to self-care. This may be difficult at first, but gently you need to be compassionate towards yourself if you are going to heal from pain. Examples of self-care activities include taking an Epsom salt bath, it’s wonderful for absorbing that magnesium onto the skin that helps to relax those painful muscles. Or, read a book, meditate, or write expressively – off load thoughts and ideas onto paper. Go for coffee with a friend or just go for a walk in nature. The key element of self-love is to feel good about the activity you’re involved with. Focus exclusively on enjoying the experience. Feel good about feeling good. The journey of healing from pain is long and difficult for many, and self-time every day is an oasis for you. Take one day at a time. The brain with its nerve network will change, and set up the body to change with it new chemicals of emotions, new focus on healing from pain, and slowly your life change towards a better life for yourself and, therefore, for the people around you. So let’s review some practical tips. Where are you with your mindfulness? It’s pretty straightforward when you hear yourself being negative when you describe life situations or your pain, and you just start there. Ask yourself, “Am I negative about my situation with pain or negative about my life circumstances?” If you answer, “Yes,” then that’s where you start and plan to neutralize those thoughts. If you are already monitoring thoughts and actively choosing neutral thoughts then you are well on the way to a mindful practice. Congratulations on your efforts and build a proactive thinking approach with the other mindful tools below. Other mindful tools to consider include humor, positivity, gratitude and autosuggestion. We’re going to cover these in the next few paragraphs. Point out the humor embedded in the same old repetition of thought that says “hello, I’m still here”. I find this approach therapeutic, providing a lighthearted approach to your often depressive negative thoughts. Now, ancient wisdom cited in the Bible, Proverbs 17:22 states, “A cheerful heart is the best medicine.” Other interpretations relate to laughter being the best medicine, and that’s one I like the most. Current research shows laughter may reduces stress hormones and also increases your immune cells and antibodies. Laughter releases endorphins (peptides to reduce pain) and promotes an overall sense of well-being which helps relieves pain. If you can enter into the world of self-made laughter or a cheerful heart in spite of your painful experience, further healing occurs from your very core of being, and that’s why I encourage it. Positivity with positive thoughts or positive self-talk is the next step after neutralizing the negative self-talk. One example is: “My pain never goes away.” This statement can be improved by saying, “My pain is here. I accept it, and I know it will improve.” This may be too difficult to practice initially, but with repetition of neutralizing thoughts, positive self-talk is the natural step towards changing negative behavior. Try it yourself and see what happens. Gratitude is another antidote to negative self talk. Gratitude literally causes the heart to be happy. It negates negative brain activity allowing a coherence between heart to brain and all other organs. This heart-brain connection has been studied at HeartMath Institute since 1991 showing gratitude as a quick way to heal the body by changing emotions, electromagnetic fields, and brain wiring. Autosuggestion is a mindfulness technique, simple to use and takes under one minute to perform so you can start immediately with the benefits of feeling better. Repeat this 20 times in the morning and 20 times at night, or anytime through the day. It is very helpful to use when you experience negative self-talk, feeling stressed, depressed in mood, or with anxiety, as it’s a great way to lift your spirits and get into a positive mindset. Self-talk gets you moving towards improved health and reduced pain. Overall, you focus on the goal of getting better and better every day. It is important to believe in the principle that you can reduce the pain in your body. If you do not believe that you will completely heal from pain, then replace the final 4 words with “getting a little bit better” instead. Most people are able to believe this. Autosuggestion was created by Emile Coué the French pharmacist and psychologist who helped thousands of patients heal from ailments and conditions 100 years ago in Nancy, France. He understood the power of suggestion for transforming one’s life by the thoughts and beliefs focused upon in the present moment and leaving thoughts of disease, illness or suffering in the past where they belong. Without functional MRIs or PET scans to map out brain activity, he knew the power of imagination changed lives and healed bodies. He saw it transform lives in the era before Penicillin and modern medical advances we see today. He was the forerunner of modern-day CBT which was started by Aaron Beck in the sixties. The auto-suggestion technique adds the dynamic approach of goal-setting with patient participation in changing the brain’s neural activity. I encourage the practice of mindfulness in you to help treat pain and move forward in the journey of controlling your mind. Carol S. Dweck, PhD. Mindset: The New Psychology of Success. 2016 Ballantine Books. P 223-264. Candace B Pert, PhD. Molecules of Emotion. Why You Feel the Way You Feel. The Science Behind Mind-Body Medicine. 1997 Simon & Schuster Publishing. John E. Sarno, MD. 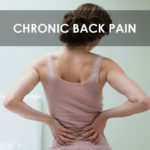 Healing Back Pain: The Mind-Body Connection. 1991 Grand Central Publishing. Gabor Maté, MD. When the Body Say No: The Cost of Hidden Stress. 2003 Indigo Books & Music. David D. Clarke, MD. They Can’t Find Anything Wrong! 7 Keys to Understanding, Treating and Healing Stress Illness. 2007 Sentient Publications. “A cheerful heart is the best medicine, but a crushed spirit dries up the bones.” Proverbs 17:22. 1973 New International Version of the Bible. Bennett MP, Lengacher C.Humor and Laughter May Influence Health: III. Laughter and Health Outcomes. Evid Based Complement and Alternat Med. 2008 Mar; 5(1): 37–40. Berk LS, Felten DL, Tan SA, Bittman BB, Westengard J. Modulation of neuroimmune parameters during the eustress of humor-associated mirthful laughter. Altern Ther Health Med 2001 Mar;7(2):62-72, 74-6. Coué Emile. Self Mastery Through Conscious Autosuggestion. 2016 Martino Publishing, Original 1922.